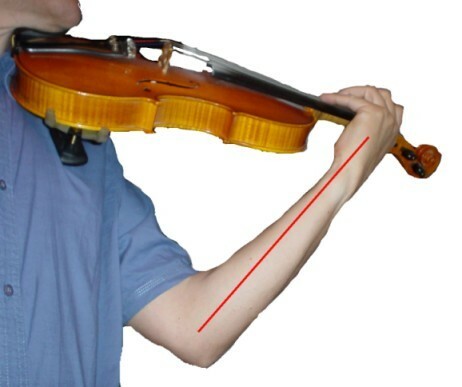 There should be a straight line from your elbow to your fingers. 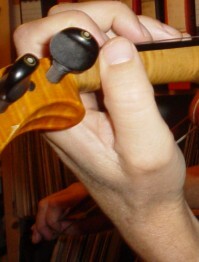 When you are going to play on a lower string, you should move the tip of your elbow forward (swaying it to the right). When you go back again, you don't have to think about it! The arm will automatically move back, archiving a less awkward position. Notice the thumb position. 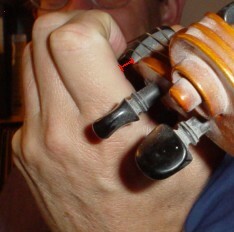 As mentioned the thumb is curved. You do not hold the violin with the hand, the violin is held with your cheek.